Meet Reginald, the bravest piece of rope in show business. Thrill to the exploits of Rupert, the extraordinary teddy-rabbit escapologist. Join in with the collective creation of a fully working magic spell. Discover the perils of rising-finger illness. 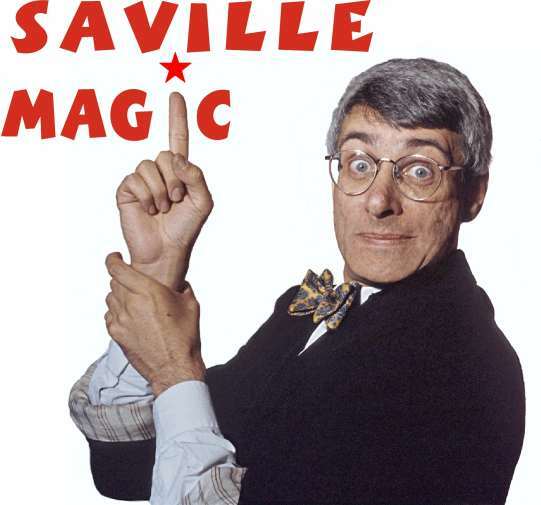 In other words, enter the wonderful world of Saville Magic. ...With his child-like imagination and intuitive rapport with the audience, Saville's magic really captures the children, - low key, apparently simple tricks which they can't quite get to the bottom of, and wonderful joining in. If you've never seen Ian in action with an audience you've missed a real treat. He never fails to entertain with a show that suits all ages, and keeps you guessing at all times. Michael Rosen, Writer, performer, broadcaster. "Ian has a unique talent for entertaining. His humour keeps young and old captivated. Couple this with an expertise in magic that confounds the senses, and you have a performer who is unforgettable"
Director, Pop-up theatre for children. Through the lands and hands of a magician"
Saville Magic has been performed at theatres, arts centres, festivals and playgroups throughout Britain.